Clive Hayward doing evening readings at Books in the Belfry in 2016. Picture Alex Ridley. The Flamstead Book Festival is an increasingly popular event which is attracting not only well-known authors but also media personalities. The brainchild of Flamstead residents Vikki Orvice and Mary Jenkin, “Books in the Belfry” has already featured well-known names to sell-out audiences. 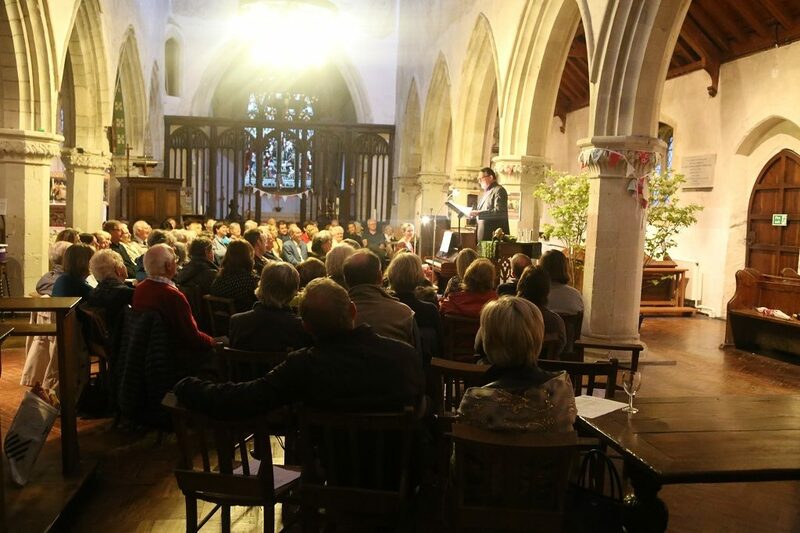 Author and comedian Andy Hamilton, author Jane Hawking, award-winning children’s writer Jonathan Stroud, best-selling novelist Tony Parsons and prolific sports writer Ian Ridley have all come and spoken in this beautiful medieval church setting. 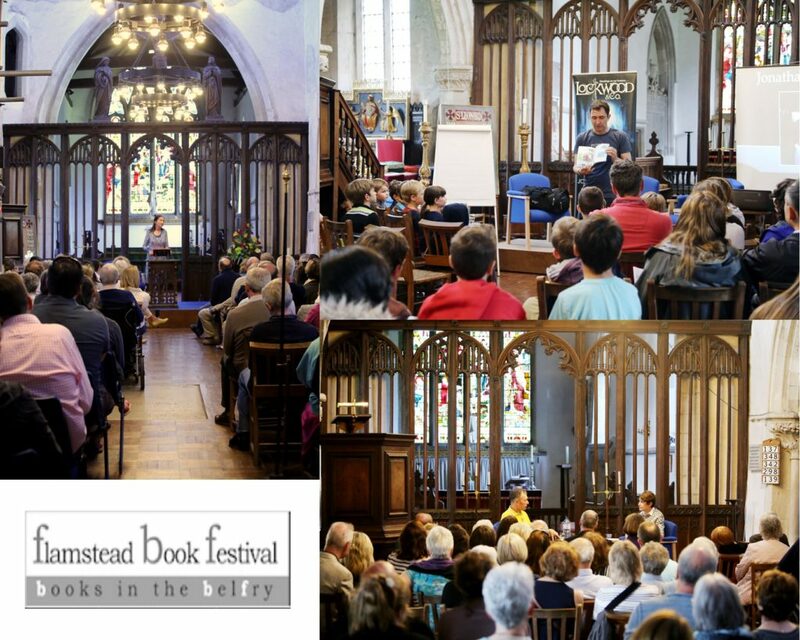 From children’s readings to thoughtful discussion to amusing talks by authors, Books in the Belfry is now a key event in the village calendar, drawing people from a wide area and raising funds for the Friends of St Leonard’s. 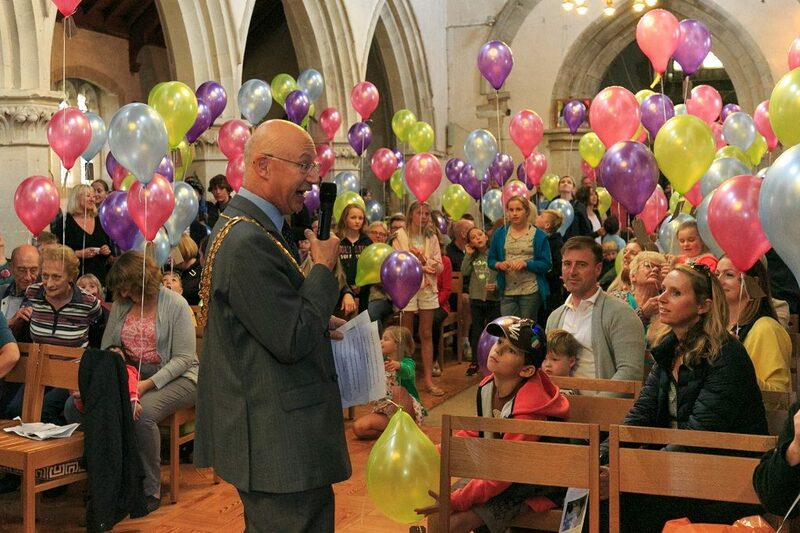 Villagers young and old packed into the church in September 2017 to show their support for the Heritage Project by releasing 200 balloons up to the roof. The countdown was led by the Mayor of Dacorum Borough. Each balloon carried a personal message of good wishes, and the spectacular event marked the start of the major fundraising drive to save St Leonard’s. Heritage expert Trudi Hughes from Historic England came to give a talk on the valuable history of the medieval church, pointing out the wall paintings, wood carvings and graffiti scratched into the stones over 400 years ago. 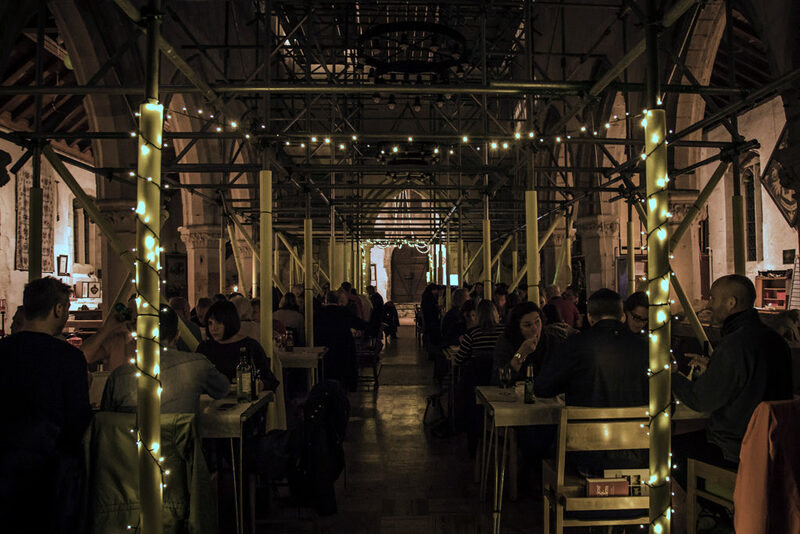 October 2017 saw a bold and very successful venture – a Fish and Chip Supper and Quiz held amongst scaffolding in St Leonard’s Church. The pre-school parents were really keen to show support, and a good time was had by all. 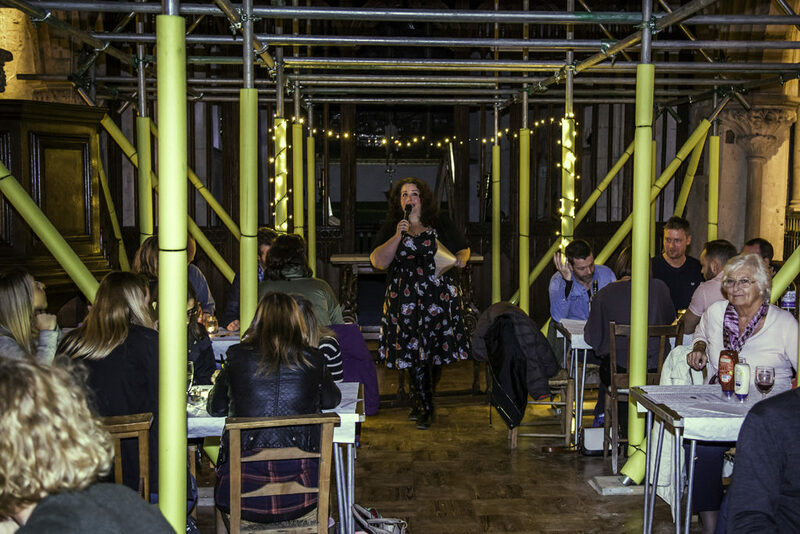 Not only did the tables neatly fit between the poles, but the subdued lighting (caused by the fact that the main lights had been disconnected the day before), produced a great atmosphere. 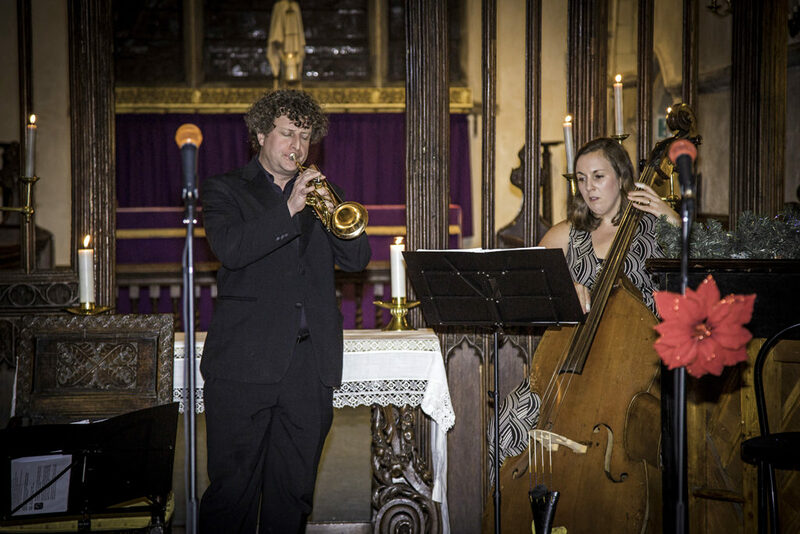 Local Theatre Company OVO brought their house band to St Leonard’s in December for an evening of festive song warmed by mulled wine and enhanced by the lovely ambience of the church with its newly installed soft lighting. 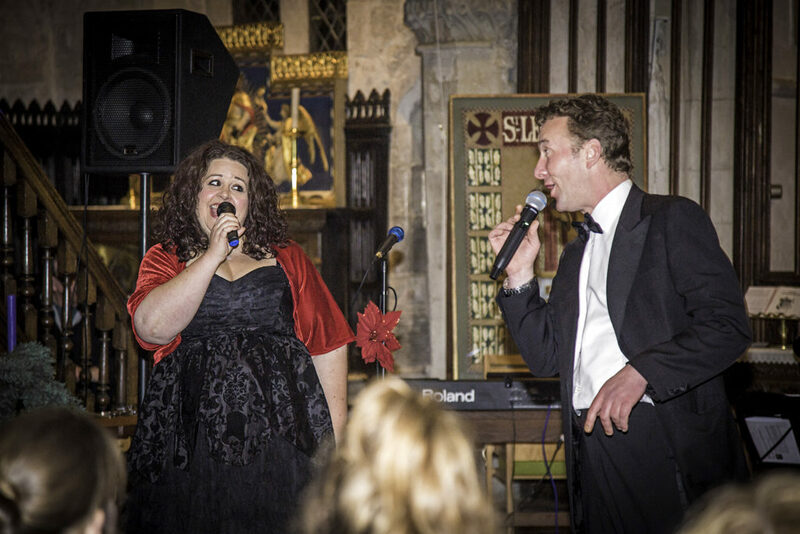 The evening was a great success, raising money both for the preschool and the church roof fund.